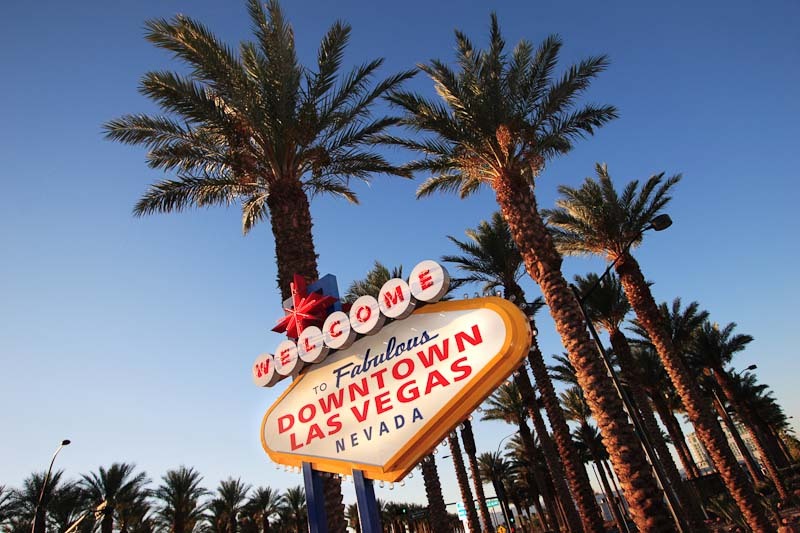 Taking a bar crawl of Downtown Las Vegas is an excellent way to get familiar with all the great establishments it has to offer. While you may be spending most of your pub crawl at the many bars on your itinerary, you will be passing local eateries and shops that will peak your interests. After your Downtown Las Vegas bar crawl adventures, you are going to want to grab a bite to eat to accompany all the delicious handcrafted cocktails you enjoyed. Here are some late night bites to try out after your pub crawl with Vegas Pub Crawler. Nothing pairs best with cocktails like some delicious Mexican food. At La Comida, located at 100 6th Street, you will find some amazing food that caters to all tastes. 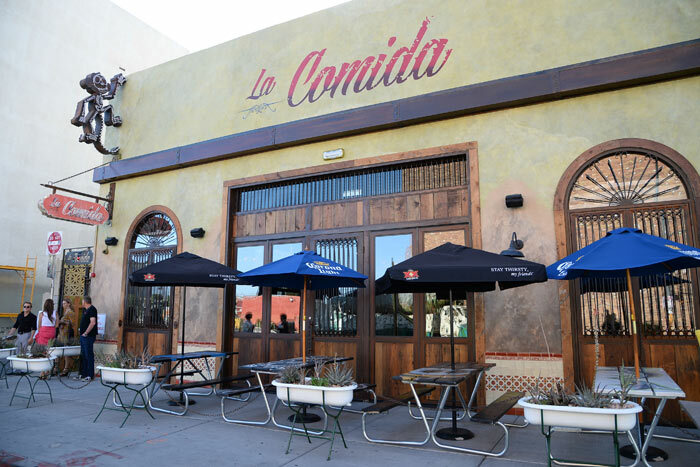 Along with their menu of traditional mexican dishes, La Comida also offers a complete menu filled with vegetarian and vegan options. If you are still in the party mood, try out one of their housemade cocktails (we recommend the Prickly Pear Margarita). Located at the meet up location for your DTLV pub crawl, Triple George Grill will have you feeling like you’re in Old School Vegas dining with the Rat Pack. 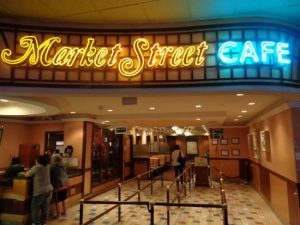 While the main attractions are the steak and martinis, you’ll be able to find delicious seafood and pastas as well. 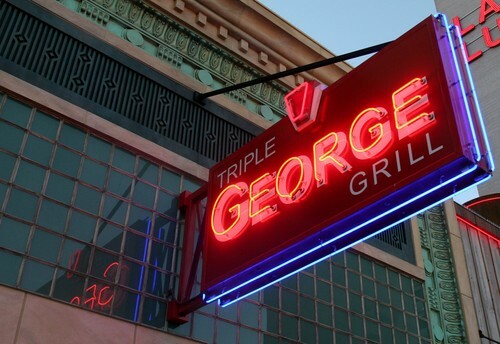 Triple George Grill is definitely a treat to have after your pub crawl. 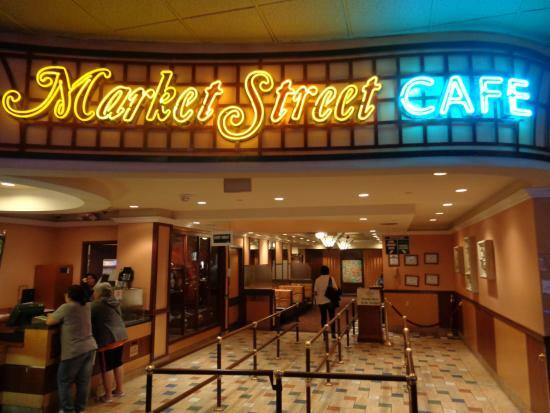 Located at the California Hotel and Casino, Market Street will satisfy all your late night munchies. This 24 hour cafe is serving up breakfast, lunch and dinner along with some specialty dishes such as oxtail soup. There’s always time for pizza! 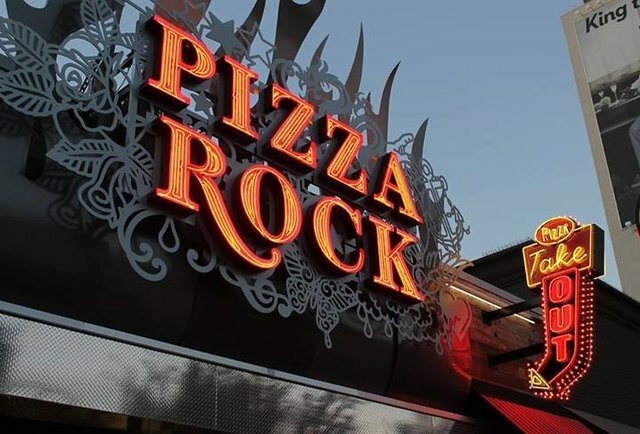 Pizza Rock is located in the heart of DTLV and offers up some of the most delicious, sicilian-style pies in the area. No matter what you choose, you can’t go wrong. Remember to pair your pizza with a craft beer or a handcrafted cocktail. Visit Vegas Pub Crawler this Weekend! Whether you are a local or visiting Las Vegas for the first time, a bar crawl with Vegas Pub Crawler gives you a unique look into the growing community of Downtown Las Vegas. Come see what at the excitement is about and book your tour with us today.